One of the biggest challenges in creating an abundant life is our tendency to over-complicate the process and buy into the fallacy that there's not enough to go around. But the good news is this: It's really not all that complicated! We each have the opportunity 24/7 to be a catalyst for good. 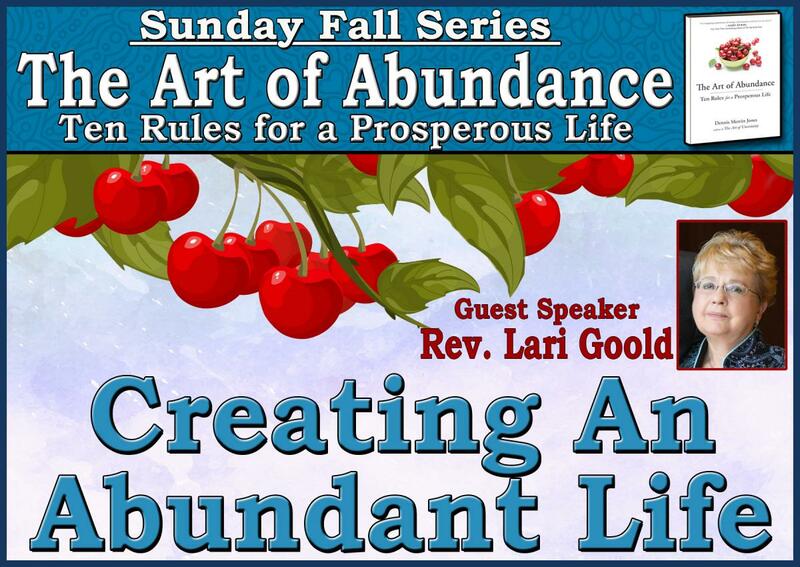 Join us for the conclusion of our four-part talk series examining the role you can play in creating an abundant life that makes the world a better place for everyone. Rev. Lari retired as Senior Minister at the Celebration of Life Center for Spiritual Living in Irving in 2017. She has been our guest speaker several times since then and continues to be a guest speaker at other New Thought churches in the region. Rev. Lari has been a student and teacher of metaphysics for over 45 years. She is passionate about the truth teachings of all the mystics and philosophers and continues to look for ways and opportunities to share them. She is grateful for a deepening friendship with Rev. Anne here at Unity of Arlington, and feels a heart connection with this community.